Los Angeles Waterfront: $1 Billion Boondoggle or Benefit? Changes are in store for the city’s harbor area, but will boaters come out ahead? LOS ANGELES — The March 2017 primary election came and went with little to no fanfare for Los Angeles’s NIMBYs. Those city residents who believed Los Angeles was biting off more than it could chew when it came redeveloping major swaths of communities and neighborhoods were unsuccessful in getting local voters to back Measure S, an anti-development ballot initiative aiming to severely restrict building in the nation’s second largest municipality. We’ll never know whether Measure S, if passed and enacted into law, would have hindered plans to revitalize the only boating-themed waterfront managed by the city of Los Angeles. As of right now, however – and in the wake of Measure S’s defeat – plans to revitalize the L.A. Harbor area are still moving forward, albeit at a snail’s pace. It’s no secret the city of Los Angeles wants to activate the San Pedro and Wilmington area to become a visitor-serving destination much in the same way tourists flock to Santa Monica Pier or San Francisco’s Fisherman’s Wharf. 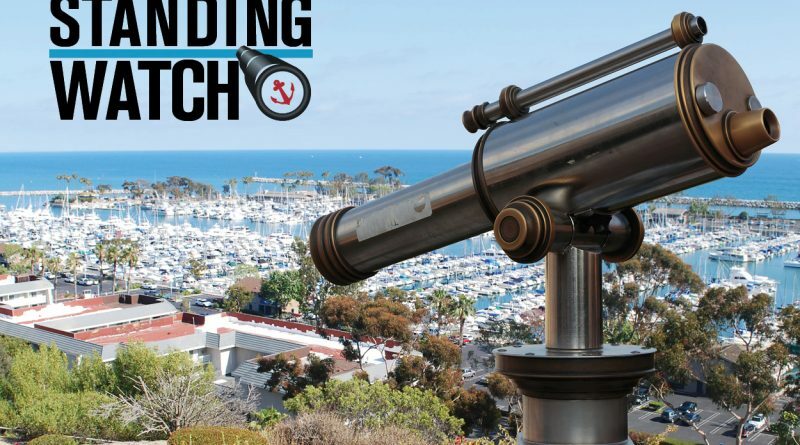 To this end city officials are betting $1 billion in public and private money to redevelop and transform the San Pedro and Wilmington waterfronts. Boaters will have their own set of questions, including whether a revitalized L.A. Waterfront would affect their access to and enjoyment of the water. Will boaters have fewer parking spaces available to them, giving up their spots to visitor-serving uses? Could the influx of visitors result in novice kayakers and standup paddleboard users taking to the water, potentially interfering with commercial and recreational vessel traffic? What benefits would be made available to boaters once the L.A. Waterfront project is fully realized? One-third of the expected $1 billion investment has already been spent, according to the city’s feasibility study. We don’t quite know how the L.A. 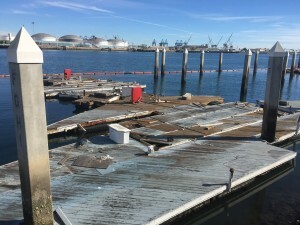 Waterfront project would affect boaters, although the pricey redevelopment project already resulted in boaters being evicted from Ports O’ Call Marina and the space soon to be replaced by a public marketplace. City officials are also in the dark when it comes to predicting future success of the planned L.A. Waterfront development. “The overall catalytic impacts of these projects will not be fully known until they are built but are expected to be substantial,” authors of the feasibility analysis stated. Such unpredictability could be moderated, according to the feasibility study, by fostering residential real estate development and allowing for hotels and office space to be built in Downtown San Pedro and along the waterfront. A hotel and creative office space could be built in the Cabrillo Way Parking Lot, for example. Creative office spaces could also be the dominant theme of new uses at parking lots along the Wilmington waterfront. Lots in Downtown San Pedro, which is adjacent to where Ports O’ Call Marina used to be, might soon be home to residential and mixed-use projects. Naturally these project ideas would bring about a fair share of opponents and skeptics questioning the project’s traffic and environmental impacts. The future of L.A. Waterfront’s revitalization will rely, in huge part, on stakeholder input. Local boaters should take an active role in the public process and inform local policymakers of what they would like to see once San Pedro and Wilmington are upgraded. Revitalization plans have already resulted in the loss of one marina. The area immediately surrounding the L.A. Harbor would likely realize an influx of new residences and visitors if the city’s plans and ambitions come to fruition – all of which could come at a high cost to boaters. ← Could California Boating Congress amplify voice of recreational boaters? We can’t wait for the revitalization of Ports O Call. We have communicated the new enhancements to our friends in our boating organization and take friends and family out who are surprised to find there is so much to do in what every considers a commercial harbor. The local marinas all offer daily, weekend or weekly slip rentals for a quick get away without the cost of the gas and hotels as well as the two hour open ocean trek across the channel to Catalina. Lately I hear there is even consideration being given to another launch ramp in the LA Harbor area to augment the Cabrillo ramp! Everyone I have spoken with in the boating community support the City and their efforts in the port to enhance the private boaters experience– keep the improvements coming. There are many departments and policymakers involved with the L.A. Waterfront revitalization. Plans are still years away from being realized, but the earlier boaters reach out to City Hall to provide input the more likely their interests would be factored into the revitalized San Pedro and Wilmington. All it takes is a steady stream of phone calls, letters and comments at public meetings. Please contact the following policymakers and administrators and share with them your vision of what should be included in the new L.A. Waterfront.